Today, the narrative on how women are portrayed in advertisements has changed a lot. From being confined to the four walls of their house, women in advertising today have gone above and beyond. But it was imperative for marketers and advertisers to change their tone and how they portrayed women because of the changing society. While we have been paying some much deserved attention on how we depict women in our advertisements, we forgot to look at the other aspect of the equation – The Men. Because if our depiction of women in advertisements have been problematic and toxic, then so is our depiction of men. For the longest time men in advertisements have either been replicas of Parks and Recreation’s Ron Swanson – the manliest man or the gentleman totally in control, cinching business deals while also eating pan masala. But the narrative is changing in this context too. Axe, the global ambassador for titillation until a few years back, recently came out with a campaign that is part of its “Find your magic” positioning. The campaign, titled “Is it ok for guys?”, talks about the insecurities and anxieties of men and their struggle with the notion of masculinity. For a brand that has celebrated male stereotypes for as long as anyone can remember, this is a huge shift in their communication strategy, but it is not just Axe who have changed the dialogue and tried to beat social norms. The last communication from Pampers talked about the role of a father in the upbringing of a child. It is rare for diaper brands to even show fathers in their communication let alone speak to them. And why should they? Isn’t childbearing and child-rearing a woman’s cross to carry? Stereotypes like these are ample and many in the advertising world. Prathap Suthan, Managing Partner and Chief Creative Officer, Bang in the Middle, agrees that there are stereotypes but he also mentions that these stereotypes depend on the products being advertised. “There are a couple of stereotypes actually and it depends on the product that you are looking at. If you are looking at a macho bike then you looking at a really macho kind of guy. On the other hand if you are looking at pushing something which is more in the sophisticated and genteel sort of an area, much like what Raymond would do, you are looking at a metrosexual guy,” said Suthan. Nomit Joshi, Marketing Head, Gionee India, agrees there are categories that do glorify macho men and their masculinity, setting unattainable expectations for men in the society but he also points out that such ads are very product specific and cater to what the product category demands. “There are categories that demand a certain kind of imagery. For example, take a SUV which is supposed to deliver on all terrain. 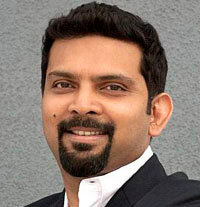 So, here you might need a guy who looks rugged and macho but if you look at the advertising industry as a whole such kind of advertising will only be 4-5 per cent of the overall advertisements being made,” said Joshi. But why do marketers and advertisers lend themselves to such stereotypes? “Advertising has typically two tasks to do. One is that it should be liked by the consumer and the second thing is that it should be able to convey the intended message. Now if you see someone being portrayed a certain way in ads then it is because of how things are happening in the society. For example, people did not start going to the gym because it was shown in advertisements. Advertisements started showing people in gym because people were becoming more health conscious and were going to the gym,” said Joshi. 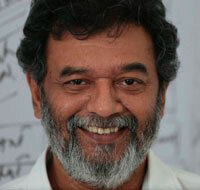 Suthan stresses on the fact that a lot depends on the world of brand and how it has been developed over the years. “A lot depends on the world of the brand, how the brand has been positioned, how it has been built across time. I think Raymond is the only brand that keeps changing. I think they latch on to whatever is currently the trend. They portray the modern Indian man who is sensitive, more of a family guy but also stylish but not the macho guy at all,” said Suthan. But times are a-changing and brands are emulating the changing social dynamics. “Progressive brands and progressive companies allow for a progressive narrative but unfortunately we don’t have enough of that. Having said that the newer narratives in many cases are progressive. Also, thankfully in India the brands who are taking this initiative are not smaller brands. 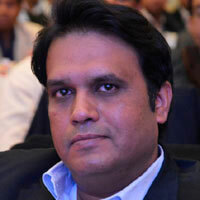 These are big brands and therefore visibility is going up,” said Nair. Nair also believes that there has to be a very clear reason why a brand chooses to take on a social issue. “One can’t take any social tension, attach it to any brand and make any kind of communication. Brands should be very clear on why they have a point of view on a particular issue. Pampers and Ariel walk that path very well. You also have to be very sensitive about the whole issue too. Since, we live in such a multi-cultural society, one has to be very careful,” elaborated Nair. Mansoor Ali, Chief Sales and Marketing Officer, Hamdard, agrees that in India women are objectified and men glorified but he also believes that change is happening. “It is true that India is a patriarchal society and there are many stereotypes that ads in India perpetuate. But today, a lot depends on the creative idea behind the ad and I can talk about lot of advertisements which portray men and women very differently. Traditionally India is a place where women are objectified and men are glorified but I don't think it's going to be that way for too long because most ad agencies and most marketers are understanding that sensitivity,” said Ali. While, ads that take up a social issue and do justice to it score big on social media do they also help sales? “We need to look at it from two angles. One is at what stage of a brand’s life cycle can one do such communication? The answer is that the brand has to be an established one and shouldn’t be dependent on an ad or two to make a sale. One cannot expect a major sales flow to come out of a communication like this at this stage. But it helps to further a brand’s cause or further the relation between a brand and a consumer. If you are a newly established brand you still have to go and tell why you are better than somebody else. You have to do that because it takes a lot of convincing to be a sustainable choice for consumers. But for a brand like Pampers that is not the question anymore. The question is, is this brand that I am using regularly making me feel good beyond the fact that it is doing its job? Brands like Pampers and Ariel have reached a stage where they differentiate themselves from the competition not by proposition but by purpose. 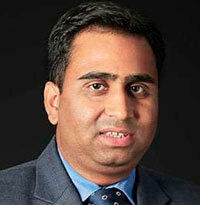 In my opinion a communication like this is best suited for a brand that is in that state,” said Nair. So, while communications like these may not be setting the cash registers ringing, they are serving a much greater purpose.